At Santa Barbara Wine Country Weddings and Events, we create trends. The mobile bridal faire is an answer for today’s busy engaged couple. With so many venue and vendor options and so little time for the details requisite to planning this momentous occasion, it can be overwhelming knowing where to start, let alone having the time to actually plan it all! We’ve taken the traditional bridal faire to new heights with luxury and some fun. No more perusing through countless photo albums, trying to imagine set up and décor. No more wondering if who you are meeting with is reputable – all Santa Barbara Wine Country Weddings & Events mobile bridal faires feature the region’s finest venues and vendors with whom we have worked and are there by exclusive invitation only. Combining the demands of modern wedding planning with the art of relaxation, fun and romance, the mobile bridal faire is the ultimate in wedding planning. Engaged couples are transported via deluxe motorcoach from world-renowned Santa Barbara over to its own wine country, the Santa Ynez Valley. There, they are chauffeured from venue to venue visiting several of the Valley’s leading event locations – including one or two which are “hidden secrets” yet to be discovered. Each venue will be decked out as it could be for an actual wedding and reception and couples can sample food, wine*, photography, videography, enjoy music, entertainment, admire spectacular floral arrangements, décor, rentals, be able to purchase wedding insurance, apply for a wedding loan, and speak to other wedding professionals such as officiants, wedding website design companies, adventure wine touring companies, and beauty experts for hair, makeup and spa services as well as the onsite location manager of each venue. Each stop is 45 minutes in length and because the tour has a limited number of seats available, couples have the opportunity to spend more one-on-one time with vendors and receive more attention than traditional bridal faires. The tour takes a rest in the middle of the day with a gourmet luncheon and fashion presentation. Each attendee receives a special gift bag and everyone receives a complimentary engagement portrait at one of the locations to commemorate this special and fun day. Plans are currently underway for the next mobile wedding planning experience Seasons of the Vineyard™. We have some fabulous surprises and guest appearances in store! If you would like to be among the first to receive an invitation to purchase tickets to this exclusive and innovative event, please send us an email with your contact information and one of our representatives will contact you with further details*. Ticket prices range $100-$125 per person, with a special promotional rate of $75 per person (or $120 per couple) being offered for all individuals who book within the first three weeks of the official release of the event date. 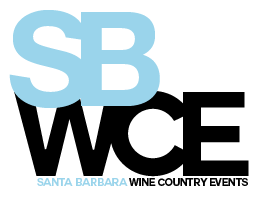 Ticket price includes round trip transportation to/from Santa Barbara, food and wine sampling, vendor and venue visits , a gourmet luncheon and complimentary engagement portrait. All seats are sold on a first-come, first served basis. Due to our commitment to our partnering venues and vendors, all attendees booking tickets must confirm that they are looking to book a wedding in the Santa Ynez Valley and have not chosen any of their venues or vendors as of yet. *all attendees on mobile bridal faires must be at least 21 years old. This historic farmhouse transported to its current location offers a charming and intimate feel for a smaller wedding. Wander the grounds, sip champagne and be transported to a relaxing by-gone era . World-renowned Firestone has it all: from the terrace and courtyard to the gorgeous Crossroads Estate, the choices at Firestone Winery offer stunning vineyard views no matter where you look. Enjoy luncheon after attending a wedding at a location used by the stars while Nordstrom Santa Barbara wows you with some great bridal looks. One of the fabulous things about wine country are the winery locations; but one of the most charming elements of wine country are the fabulous boutique hotels and still fewer are set up to accommodate events. Fess Parker Wine Country Inn and Spa is the quintessential boutique inn for you to have your ceremony, reception and have your guests stay all in one location. Gainey affords vistas of the Santa Ynez Mountains combined with wide open vineyards – and even and old authentic 1890’s barn for those who like a more rustic option. A family-owned winery that was built to look like a wine cave straight out of Provence or Tuscany, this will delight those seeking a dramatic backdrop for their wedding or rehearsal dinner. The entire day was captured on film by Joseph Mark Photography and a film by Santa Barbara Production Group was made. DVDs are available. Please inquire. “I’ve never seen anything like it…” Stacey C.
“The timing of everything was perfect. I got to sample several weddings, styles and see the vendors in their elements. And someone else did all the driving! Did I mention the wine? “ Lisa M.
“Actually, this was a romantic way to plan and lots of fun.” Brooke A.